REGISTER BY MAY 10TH TO GET EARLY BIRD DISCOUNT! Use the links below or to the right to find a camp by date or by park! We look forward to seeing you this summer! BACK BY POPULAR DEMAND: Our Discovery Time camps! Choose from STEAM, ROCKS & MINERALS, ART & ARTISTS and Cooking Around the World – offered throughout the summer! 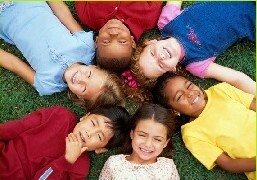 We also hold special SPRING BREAK and TEACHER WORK DAY CAMPS. Click here for info. The philosophy for Katydid Inc.’s camp program is that children should have opportunities to learn about themselves, nature and history outside the classroom. Children should get a chance to develop and exercise their curiosity in a more open atmosphere. Children can do this while still protecting their outdoor environment and leaving it as-found. This exposure to the natural world can influence the way they live in many positive ways. It is hoped that trough their increased awareness and appreciation of history and nature, they will help impact the world around them. The National Wildlife Federation, the American Forestry Council and the American Camping Association also affirm much of this. CAMP COUNSELORS: Interested in being a counselor at our camps? Email Sonja at katydidinc@gmail.com for more information or check out our JOBS section. There, you’ll find Counselor and Counselor-in-Training (CIT) application forms and FAQs.